To get asylum in France, homosexuals must "prove" that homosexuality is or may be grounds for persecution. But how? The president of the Ardhis an update on this crucial issue. 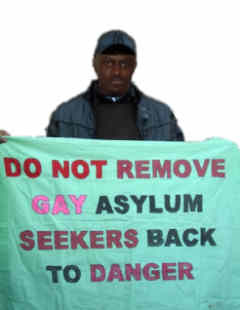 'Claiming asylum as a gay man: the problem of 'proof'".' This was the workshop that the Association for recognizing the rights of homosexuals and transsexuals to immigration and residence (Ardhis) animated in Paris on the occasion of the 12th Spring assocs LGBT. For each interview to the French Office for Protection of Refugees and Stateless Persons (OFPRA) is the same dilemma: he must convince. TÊTU: What "evidence of homosexuality" awaiting Ofpra? Thomas Fouquet-Lapar: The Ofpra never talks about evidence but, when we study its logical conclusion, it is not far from expected. In fact, it is necessary that the protection officers have an absolute conviction possible about the reality of the sexual life of the applicant. Everything is based on their personal conviction. One day he will estimate "just fine", and another OFPRA commit errors of assessment. Thomas Fouquet-Lapar: When applicants were LGBT activists in their country, or have been arrested, he may request that their evidence. But some plaintiffs argue their fear of danger. And fear is a ground for asylum. Moreover, people persecuted in the past that no longer current fears are denied refugee status. On the other hand, some people have refugee status so that their homosexuality was not disclosed. Thomas Fouquet-Lapar: Applicants are assisted by interpreters of the OFPRA, but sometimes the interpretation is flawed. Sometimes there is no interpreter for nationals of countries in Francophone Africa. For example, the interpreter in Wolof or Fulani is not called when the applicant does not have a sufficient level of French, and it penalizes his testimony. TÊTU: What do you suggest to avoid the "errors of appreciation"? Thomas Fouquet-Lapar: We ask, "How to have a firm belief in one or a few hours of conversation with someone you've never seen, and we will never see again?" It seems a little lighter. It is therefore proposed that there are several interviews, perhaps with several officers. There will be felt that will overlap, or maybe not. But if all share the same opinion, OFPRA can make a decision saying that the error of appreciation is virtually excluded. The Ofpra we have not formally responded to this proposal, but we can imagine that everything is a budget problem. 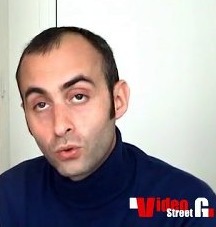 TÊTU: You come there to have doubts about the sexual orientation of an applicant? TÊTU: Exactly. Helping these people taint does not recognize the seriousness you the authorities? Thomas Fouquet-Lapar: It was at the OFPRA to sort. She knows that help people for whom we have a lot or not much conviction, and we do not hold rigorously. That is not going to question our credibility. However, it would be different if it was maintained so that people supported the folder is a bit wobbly. But in general, it supports only people who have been together for a good belief.